With the emergence of third-party selling platforms, there is now no need to to create a website exclusively for a product to be sold in a market. These revolutionary mediators are so effective, they can even be the base of your venture for the long term. The most powerful of these is Amazon. According to Q4 2017 report, more than 50 percent of sales on Amazon are made through third party sellers. The giant shipped out more than 5 billion items through its paid subscription “Prime” delivery service. Amazon is one of the most trusted brands today, and when a new entrepreneur operates under the Amazon umbrella as a third-party seller, they are granted the built-in level of trust that Amazon prides itself on. With this in mind, the thought of becoming an Amazon seller might seem like it’s going to be out of reach for most individuals. It is actually much simpler than you think and comes with many advantages. When it comes to selling through Amazon you have two options, to sell as Merchant (MCH) or as an FBA seller. The main difference between having items fulfilled by Amazon and fulfilled by merchant is that the merchant has to pay for shipping. This can drastically eat away at your profits and can easily result in a negative sale if you’re not careful. 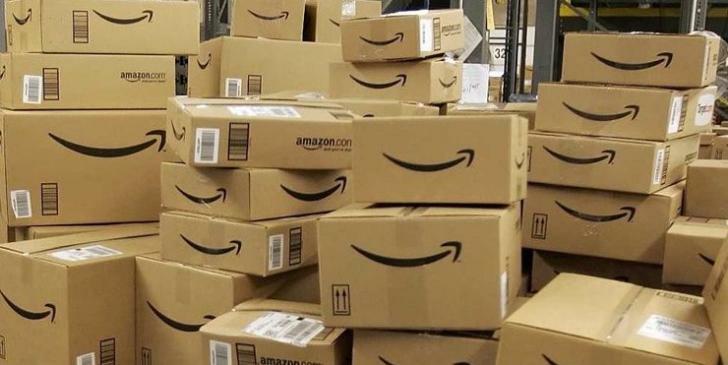 As an FBA seller, Amazon picks, packs and ships the items to your customers, easing the concern mentioned above, while you sit back and profit. The FBA program is truly amazing! You can sell from any country. You can travel and sell or do whatever you’d like without having to even touch the goods or deal with garages and warehouses. 1. Figure out your business model. Are you going to sell as a private label or use drop shipping? Selling on a private label requires creating your own listing. Drop Shipping is the model of Amazon business. It is when you use third party sellers to fulfill your customers’ orders. This means you don’t need to invest in a stock and you pay only upon making a sale. 3. Join an Amazon community. This will provide a lot of useful tips and tricks. Joining a community not only provides great information, but can also give you some leads to understanding what’s exactly happening in the market. In Addition, you will be able to get suggestions or ask questions from experienced sellers. 4. Read Terms and Conditions carefully. It is important to understand what your goal is and what the steps are to get there. All of the advantages of the FBA program and various things must be kept in mind while selling. Make sure to read through the procedures, the terms and conditions, shipping, and the return policy before you start to sell through Amazon. All of these relate to your profits and if you are unaware of them, you risk taking much larger chunks of your profit than expected. 5. Be realistic. It’s easy to get caught up in all of the unbelievable success stories of Amazon sellers just starting out. This isn’t realistic for every seller. Don’t expect huge returns immediately. To become a successful seller requires hard work, at least during the initial stages until your product moves to the top. Even if you have a Best Seller’s tag, it requires work to stay at the top. Remember the risks. Even experienced sellers risk sale prospects. There are always risks of periods of low demand, poor quality of the purchased product and many others. 6. Plan your money. Initially, you will have to spend money for your start-up costs. Think of it as an investment into your business. Even if your business does well, you may need some additional investments to increase your stock, or even to launch another product. If you have a plan in place now, you won’t be discouraged from growing your business. Now that you are prepared going into selling on Amazon, it’s time to learn the main stages of using the FBA program. Knowing what to expect in advance can help you have a smoother time transitioning between the stages. It is important to remember these stages for the future when you are opening an account and diving into the world of Amazon. 1. Find a product. This is the most interesting and challenging stage. AMZScout offers a full range of tools for Amazon product research. Using them, you can find products that present good selling opportunities. More about different ways of conducting product research can be found in this article. 2. Source this product. There are many ways to source the product. Most FBA sellers source them from China using Alibaba or other similar portals, or by visiting exhibitions and the country in person (read about the Canton Fair). It isn’t necessary of only stick to China. There are many other great options. If you sell in US market it’s a good idea to check US manufacturers, as “Made in USA” products are well respected. Try sourcing from India, or even from your home country. 3. Setup the account and the listing. The process of setting up a seller’s account on Amazon is quite simple. All you have to do is follow the simple instructions. Remember that more than 20 product categories are open to all sellers, and about 10 more categories are available for Professional Sellers only (For more details on this: click here). The process of listing a product completely depends on that said product, but it usually includes the following (for a new product): adding product vital info, variations, offer, images, description, keywords, and more details. 4. Ship the product. Sending products to Amazon is another major task. You will need to find the most suitable way of getting it to an Amazon warehouse for you. Amazon offers a few options exclusively for FBA sellers. Manufacturers may also offer some options for shipping your product to Amazon. A shipment plan for the products that you want to send to Amazon fulfillment centers should be well maintained and documented. This will enable you, the seller, to track of the products that are shipped. 5. Optimize your listing and market. The selling process does not end after Amazon receives the product. This is a constant process where you need to analyze your competitors’ sales volumes, track sales using Amazon tracking tools, keep testing marketing strategies, launch advertising campaigns and so on. Any FBA seller will go through these stages repetitively. So know the steps well! You’ll have to come back to each stage again and again, whether it’s to launch a new product, make some changes if the product doesn’t sell well, to add variants, or make another change. 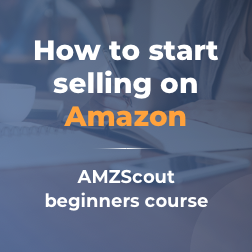 Once you have made the decision to sell your sourced products through Amazon, and have an understanding of the main steps it takes to sell, simply follow the procedure on the Amazon website. The most hassle-free way to sell on this site is to become an Amazon FBA Seller. This means that all your orders are “Fulfillment by Amazon.” Make sure you fit into the listed categories in-order to be a third party seller. 1. Create Selling on Amazon account. Here are the two options for FBA sellers: You can create a Professional account or an Individual account. Most likely, an Individual account will be the best option for a beginner only because of the price. If you choose to opt for an Individual account over the Professional one, keep in mind that Individual accounts have some limitations in product categories they can sell in. More serious sellers should choose the Professional account because of it’s diversity, access to prime purchasers, and inventory allowance. There is also an extra $0.99 charge per item sold if you choose an Individual account. 2. Create and convert listing to FBA on Amazon Seller Central. This is a very interesting process. It’s extremely time consuming to create a new product listing. It requires you to write about the product in detail, produce quality images, proper keywords and many other things. This stage can make or break your products potential profitability. If you take your time to do it correctly, it can reward you handsomely. You also have the ability to go back and change things as you learn what will work successfully for your product. 3. Click on Create shipment. You can send products to Amazon fulfillment centers by creating a virtual shipment, packing your products, and shipping them to selected fulfillment centers. 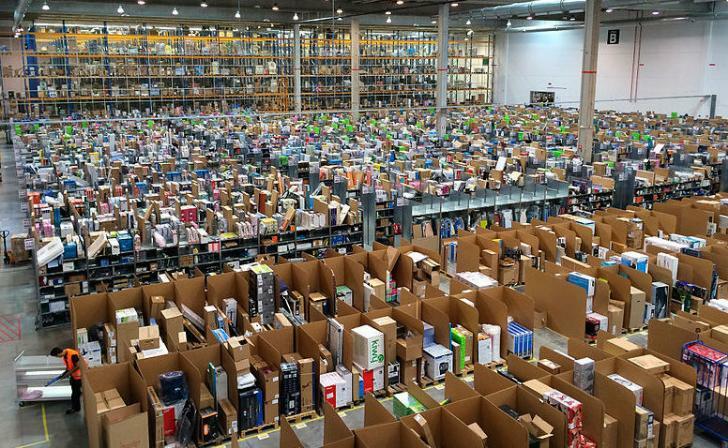 Products received by an Amazon fulfillment center are generally scanned and made available for sale within 3 business days. 4. Check that all products are labeled according to Amazon’s guidelines. You can choose between preparing and labeling all the products yourself or using label and prep service by Amazon. In the first case you will need to work and spend your time doing this yourself. You will also need equipment to print barcodes and other stickers on the product. Of course, you do have the option of using a prep center, or you can make an arrangement with your supplier to do that for you. FBA takes the hassle out of the process and does all the heavy lifting for you. You also get integrated into their trusted system and are granted instant credibility by selling through their platform. Amazon has a very strong reputation of putting their customers first. By being an Amazon seller, you share the reputation with Amazon. With some diligence, the use of some product research tools (such as AMZScout), initial investments, and little luck - you have a recipe for five or six-figure income each year! As you take your first baby steps towards becoming an online entrepreneur, always remember that advice based on somebody’s successful experience does not always lead to success. It is the ability to adapt to the constantly changing market conditions that truly matters and leads to success. Good luck seller!